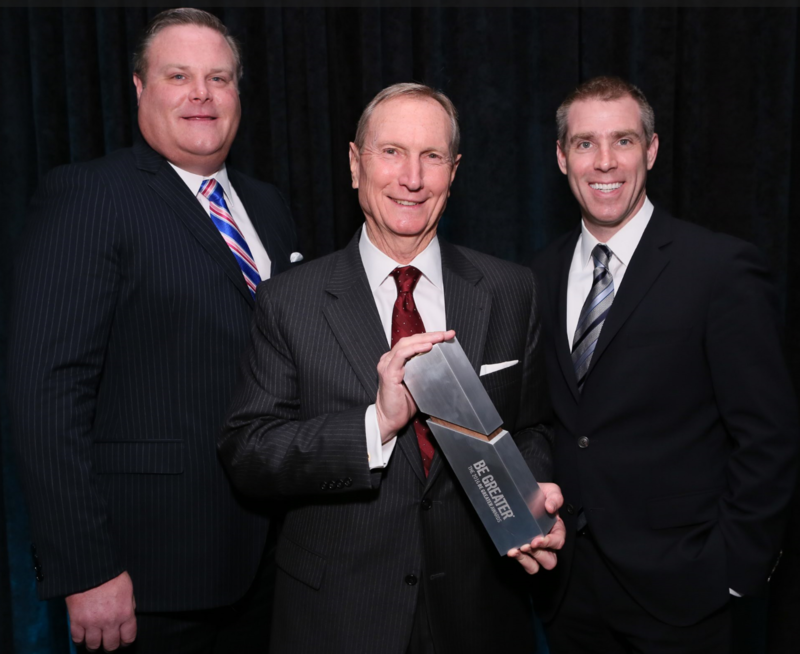 Probity Advisors, Inc., a wealth management firm based in Dallas, TX, has received the 2016 Fidelity Be Greater Award, which recognizes financial services organizations that have succeeded at becoming future ready, responding to investor and competitor dynamics, and evolving into successful, growing businesses. The award, presented annually by Fidelity Clearing & Custody Solutions, the division of Fidelity Investments that provides clearing and custody to registered investment advisors (RIAs), recognized Probity Advisors, Inc. as its national 2016 award winner among all RIA firms considered having $250 million-$1 billion in total assets under management. The Be Greater Awards were created to honor those firms who push boundaries and demonstrate excellence in critical areas of their business. Fidelity noted in its announcement this week that Probity Advisors, Inc.’s open and transparent communication style and motto of “do right by clients and success will come” have helped Probity stand out among other advisory firms across the country that were considered for the second annual “Be Greater” Award. Be Greater nominees were evaluated by an independent panel of industry professionals for excellence across five key business areas identified by Fidelity as its “Five Fundamentals of a Future Ready Firm,” including Strategy, Talent, Technology & Operations, Risk & Regulatory and Client Focus. Probity Advisors, Inc. was selected for its focus on providing integrated portfolio management and planning services that are highly customized to each individual client. The firm’s investments in technology and talent along with its entrepreneurial and collaborative culture were also recognized as key to Probity Advisors, Inc.’s impressive growth. Probity Advisors was chosen for the award by an esteemed panel of industry professionals: Karen Barr, Investment Adviser Association; Joel Bruckenstein, Technology Tools for Today; Mindy Diamond, Diamond Consultants; Beverly Flaxington, The Collaborative; Brian Hamburger, MarketCounsel; and Philip Palaveev, The Ensemble Practice. The award was presented at Fidelity’s Inside Track event in New York on October 18, 2016. This is the second year that Fidelity has issued the Be Greater Award. As part of the Be Greater Award, Fidelity will make a donation in the amount of $15,000 to the charity of Probity Advisors, Inc.’s choice. Probity Advisors has selected The Assist the Officer Foundation which provides financial assistance to police officers and their families who are facing serious injury or a life-threatening illness, as well as financial assistance to families in the event of the death of an active officer. Fidelity Investments® is an independent company, unaffiliated with Probity Advisors, Inc. Fidelity Investments® is a service provider to Probity Advisors, Inc. The 2016 Be Greater Awards were open to current clients of Fidelity Investments who met certain eligibility requirements, including but not limited to (1) at least $50 Million in total assets under management, (2) more than two full-time employees, (3) in business for 4 years or more prior to January 1, 2016, (4) not under investigation by any regulatory or government agency or enforcement division, and (5) completed the program application, and acknowledged and agreed to the terms and conditions set forth in the program rules and regulations. There is no form of legal partnership, agency affiliation, or similar relationship between your financial advisor and Fidelity Investments®, nor is such a relationship created or implied by the information herein. Fidelity Investments® has not been involved with the preparation of the content supplied by Probity Advisors, Inc. and does not guarantee, or assume any responsibility for its content. Fidelity Investments is a registered mark of FMR LLC. Probity Advisors, Inc. is a financial services firm based in Dallas, Texas. For more than 60 years, our advisors have helped individuals, families, and businesses manage their financial assets and resources in order to achieve financial independence and security. With expertise in customized portfolio management, estate planning, retirement benefits consulting, risk management solutions and tax planning, Probity provides a comprehensive and integrated approach to managing and building wealth. Probity’s team of Certified Financial Planner® practitioners, Chartered Financial Analyst® charter holders, and Chartered Financial Consultants® is committed to providing sound and unbiased advice to help clients optimize their complete financial picture with a coordinated estate, investment, and tax strategy. For more information, visit www.probityadvisors.com and follow them on Twitter @ProbityAdvisors and Facebook at facebook.com/ProbityAdvisors. Fidelity’s goal is to make financial expertise broadly accessible and effective in helping people live the lives they want. With assets under administration of $5.6 trillion, including managed assets of $2.1 trillion as of September 30, 2016, we focus on meeting the unique needs of a diverse set of customers: helping more than 25 million people invest their own life savings, nearly 20,000 businesses manage employee benefit programs, as well as providing nearly 10,000 advisory firms with investment and technology solutions to invest their own clients’ money. Privately held for 70 years, Fidelity employs 45,000 associates who are focused on the long-term success of our customers. For more information about Fidelity Investments, visit https://www.fidelity.com/about.